I'm always up for having a family session at a meaningful location. 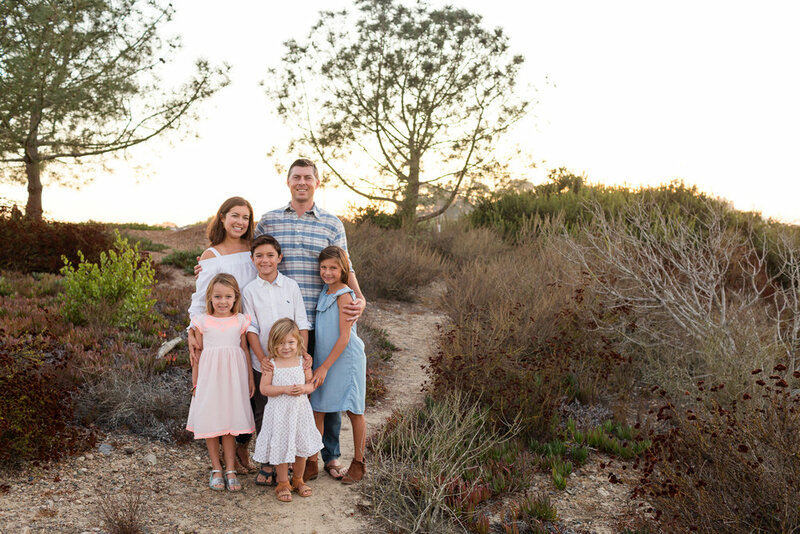 So when the Donnelley family told me they got engaged at Mt Soledad years ago and wanted to bring their four children back to have family photos taken there, I was all for it! If you've never been there before you need to hop in your car and drive up to one of San Diego's breath taking peaks and enjoy the amazing views. This beautiful family of six is a lot of fun. They have the ability to relax in front of the camera and enjoy time with one another. Leave it to one of the kids to do something hilarious and get everyone laughing- including me! I really enjoyed our time together and love that we got photos of this beautiful group in a place where this family's story began. Where were you engaged? I'd love to know!! It might even inspire some fun new family photography location ideas!